This page contains my official biography. I also talk about my background, what lead me to begin working on independent movies, and the films that influenced me while growing up. Click the thumbnails to see the full-sized photos. Enjoy! I studied theater / acting in the 1990's and began appearing in movies shortly thereafter. Some of my earliest appearances were in indie films such as SHADOW TRACKER: VAMPIRE HUNTER, BLACK EASTER, LONDON AFTER MIDNIGHT, and the documentary EVERY PIXEL TELLS A STORY, all of which were produced in the Capital Region of Upstate New York. At the same time I was pursuing acting, I was completing a degree in Communications at The College of Saint Rose in Albany, NY where I studied video production, among other subjects. Shortly after graduation from college I began producing my own movies, my first production being a shot-on-video (S.O.V.) horror feature titled TERROR OF THE MASTER, which served as a crash course in underground movie-making back in the days of VHS cameras. Following that experiment I wrote, directed & starred in three short horror movies: NIGHT THERAPY (appr. 24 minutes), THE GREEN-EYED MONSTER (appr. 25 minutes) and 3 TO MURDER (appr. 40 minutes). After these were completed I produced a cable access TV special promoting them, and helped organize an area filmmakers movie festival. These horror shorts have been screened over the years at various venues in Upstate New York's Capital Region. Additionally, 3 TO MURDER was shown on TV station DUTV-54 in Philadelphia and is included on THE TEMPTRESS Special Edition DVD. Following these movies I produced THE TEMPTRESS, a vampire feature shot and edited in the digital video format. (Visit "The Temptress" Page to read a detailed history of this feature). This movie premiered in Upstate New York's Capital Region in 2003. I then produced the 39-minute comedy OF THEATRE & BIKINIS, which had its Capital Region premiere in 2006. In 2009 I began producing a series of short films. One of those, titled THE HUNT, starring well-known actress and scream queen Deana Demko, premiered in 2015. Since 2012 I have also been working as an actor in several films directed by Mark Polonia of Polonia Bros. Entertainment. These movies, which have all received wide commercial release, include EMPIRE OF THE APES, CAMP BLOOD FIRST SLAUGHTER, JURASSIC PREY (formerly titled Meateaters) and AMITYVILLE DEATH HOUSE. 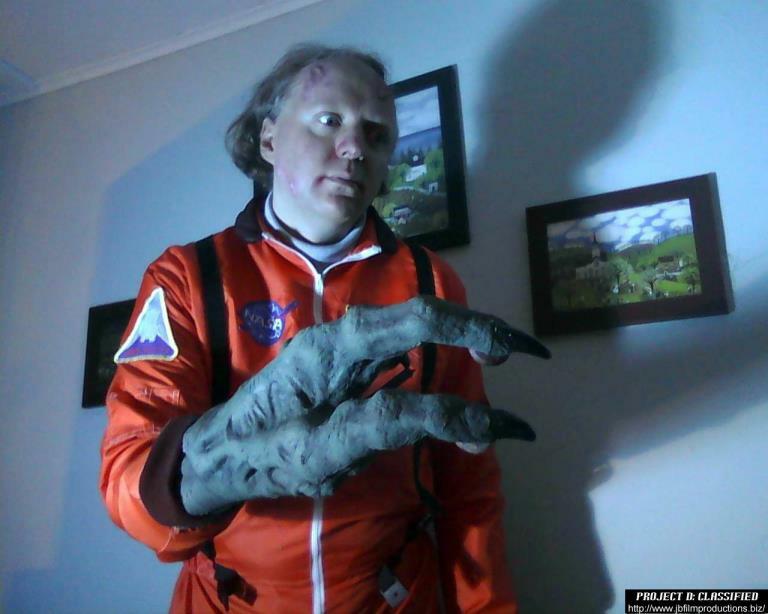 I also starred in Mark's creature feature BIGFOOT VS. ZOMBIES and Anthony Polonia's Superhero movie ZILLAFOOT. When it comes to the question of how I became interested in movie-making, I believe quite a few things were factors in it. First, I have always been a fan of cinema. From a young age movies were a great source of entertainment for me. As far as horror movies are concerned, one film I can remember really frightening me when I was younger was JAWS. Another one would be THE EXORCIST. However I didn't become a fan of the horror genre until around 1986, during my teenage years. Surprisingly enough, one single movie drew me into the genre. As I remember, I was sitting around the house one day with my girlfriend and we decided to rent a movie. I don't know who picked it (probably her), but we wound up watching A NIGHTMARE ON ELM STREET. I was totally fascinated by that movie. Something about the story of an average teenage girl fighting to stay alive and overcome a terrifying and seemingly unstoppable force just hooked me. Soon after that I started watching horror movies and have been a huge fan of the genre ever since. (The NIGHTMARE ON ELM STREET films in particular are still some of my favorites to date, and as much as I enjoy all the self-referential horror movies of today, nothing beats the films of the 80's for my money). So years later, when I began to entertain the idea of making my own movies, it was just natural that I would have gravitated towards the horror genre (although as evidenced by OF THEATRE & BIKINIS and some other productions, I'm open to all genres). Movie-making can be a wonderfully rewarding experience, and I plan to continue making both short and feature-length independent digital movies in the future as well as acting in films. "I consider him to be a significant figure in the horror genre, on the regional basis at least, and probably on the national level too." "He's very enthusiastic and determined in his filmmaking activities. I like his attitude about creativity and artists..."
“ There’s something of the Ed Wood about Jeff Kirkendall ... "
...THE TEMPTRESS is one to see. " " This movie is an example of how an independent director, with a little bit of creativity, and a good amount of blood, can keep an audience entertained. ...I was especially impressed with the ending of the film." " I finished TEMPTRESS and must say I was very impressed. I thought it was well directed and shot and acted. It had a nice pacing and you have a really good style. It really draws you into the story... that is a solid, well made film. " " Jeff Kirkendall continues his trend of spinning gothic tales of bloodlust, secrets and vampiric confrontation in this, his worthy, second feature film. The dedication behind The Temptress is amazing. We look forward to seeing what Very Scary Productions produces next. " 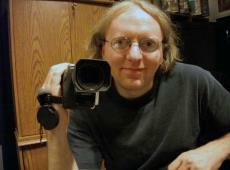 Jeff Kirkendall is an independent digital filmmaker & actor from Upstate New York. He has been passionately involved in making and promoting independent movies since 1996, and since that time has written, produced & directed seven. He has also appeared in over 30 movies to date. Jeff is a longtime fan of cinema. 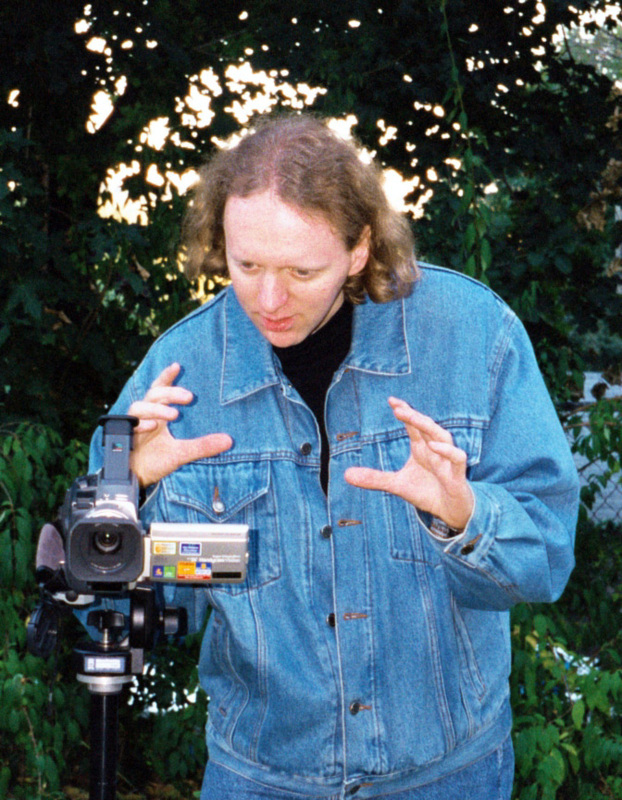 As part of a Communications degree program at The College of Saint Rose in Albany, New York he studied studio and field video production using analog (VHS) cameras and linear editing decks. He then began investing a substantial amount of time in self-study, training in non-linear post-production editing programs such as Adobe Premiere & Encore. Following graduation from college Jeff set out to produce his own independent shot-on-video (S.O.V.) movies. His early productions include the action/horror movie The Temptress and the comedy Of Theatre & Bikinis, both produced entirely in the Capital Region of Upstate New York utilizing local talent. In addition to his own directorial projects, Jeff has served as Associate Producer & Editor on movies produced by other area filmmakers, including the features Project D: Classified, The Edge of Reality, London After Midnight and Bruce G. Hallenbeck's The Drowned. Jeff was also featured in the independent documentary Every Pixel Tells A Story from Times Union writer Peter Hanson, which includes interviews with several leading Capital Region filmmakers shooting in the groundbreaking digital video format. 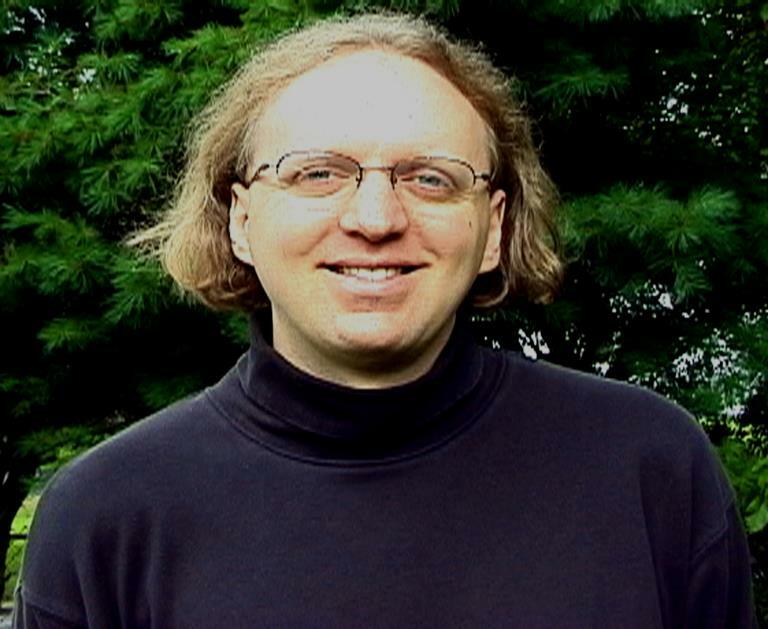 Additionally, he has been involved in promoting area filmmaking for many years by organizing events such as 1999's Area Filmmakers Fantastic Film Festival and 2003's Shocktoberfest, both held at Hudson Valley Community College in Troy, NY. 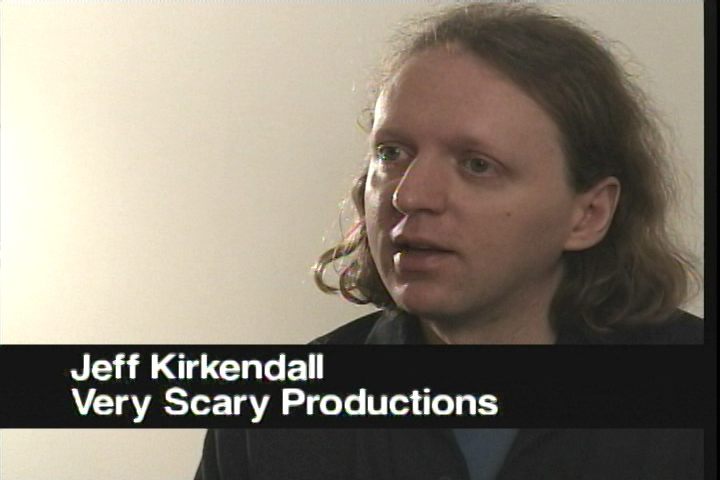 Jeff was a featured filmmaker at the 2005 Dead of Winter Free Film Festival and the 2006 Independent Film Festival, both held at the New York State Museum in Albany, NY. These events received extensive media coverage in publications such as The Gazette, Metroland and the Times Union newspapers, among others, and television stations such as Albany, New York-based Capital News 9. Additionally in 2006 Jeff was an organizer and host at The New York State Museum's 2nd Annual Classic Horror Movie Festival featuring celebrity guest Betsy Palmer of Friday the 13th fame. Jeff has also hosted independent film screenings at the Historic Madison Theater in Albany, New York, including the successful 2007 Night Of B-Movie Indies show held in November of that year. 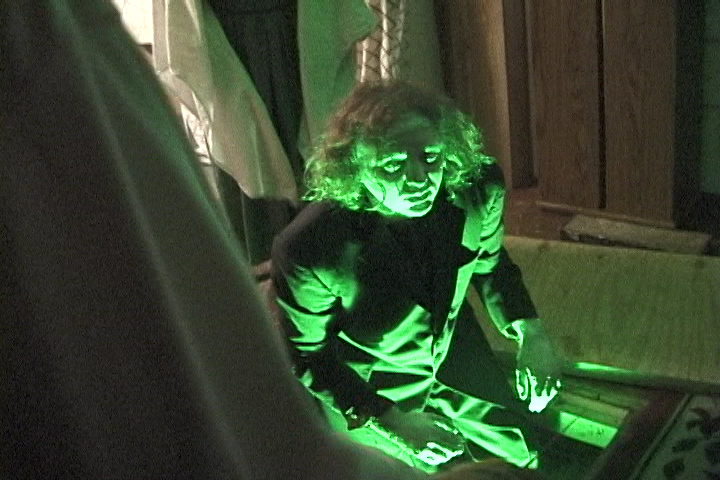 In 2009 Jeff's horror short The Green-Eyed Monster was shown as part of the It Came From Schenectady Film Festival Series at Proctors Theater in Schenectady, NY. 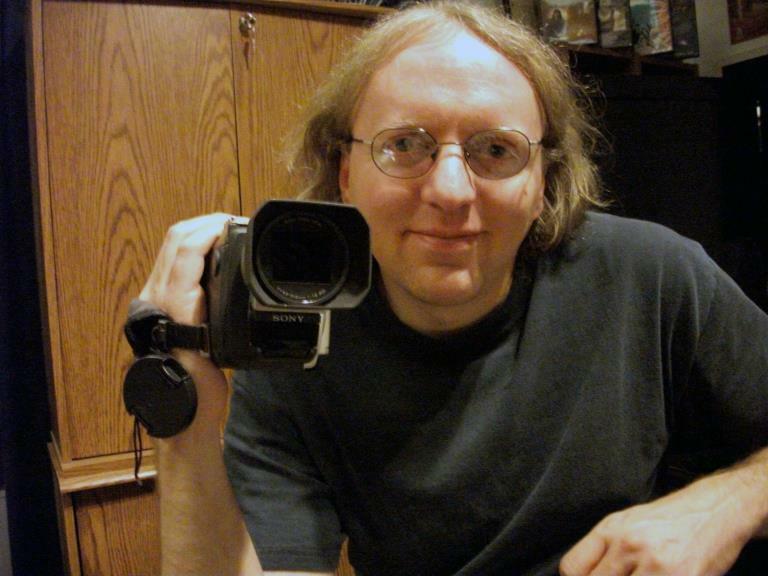 Following these festivals and screenings Jeff began work on his latest short horror movie The Hunt, and in 2013 he was the Local Filmmaker Guest of Honor at the Roccon Hudson Valley convention where he screened his comedy Of Theatre & Bikinis. In 2018 Jeff completed and released the anthology feature film Halloween Horror Tales. As an actor Mr. Kirkendall has appeared in feature films such as Project D: Classified, The Drowned, Bloodlust, and several from Polonia Brothers Entertainment including Sharkenstein, Bigfoot Vs. Zombies, Amityville Death House, Jurassic Prey, Camp Blood First Slaughter, Amityville Exorcism, It Kills Camp Blood 7, Robowar, Empire of the Apes and its direct sequel Revolt of the Empire of the Apes. Jeff's 2018 feature HALLOWEEN HORROR TALES is now on Amazon Video / Prime. Also, a re-mastered version of his first horror short NIGHT THERAPY is now available to view on YouTube (Full Movie). Several other movies he acted in or directed can be purchased on DVD on Amazon, on his CDBaby Artist Page, and via Download at Archangel Productions.
" I watched THE HUNT last week and am impressed with how well it is directed, shot and edited. It looks beautiful! "